Better late than never! Recently we finished our first CCF Challenges of the year and Richie did exceptionally by winning one of them and finishing second in another one of the three in our "CCF Triple Attack Challenges" - we wanna share his story as we find it quite inspiring! Richie before - 1/2 Richie after. Coach: So first of all congrats on winning the "Train More Challenge" where you actually attended every single training opportunity during the challenge which we also think may have helped in your second place finish in our "Eat Better Challenge", where you made a huge transformation. 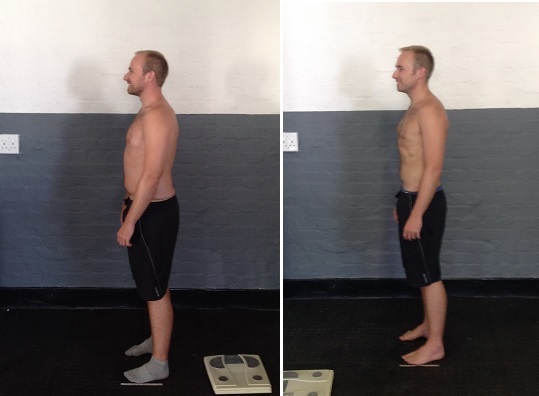 (Ritchie lost 7.0kg and 8 cm around the waist). For us it is very cool to see that you as an experienced athlete that have been with us for very long could make such a great improvement in your physique in such a short time so let’s figure out what you did different during these 6-7 weeks that the challenge went on? Richie: Well, I have been training at CCF almost 3 years to the dot and going into the challenges I decided to train every single possible training session but also realised I needed to make sure I recovered well enough between sessions so the CCF Yoga was a huge help! Back Squat, from 104 to 105 ("Only" +1kg, but this was the first time since 2012 that I went over 100kg again!). Hand Stand Push Ups, from 1 to 7(!). Ring Dips, non existing to sets of 5. Coach: Wow, simply wow! Sick results amigo, now tell me this: What makes you come back day after day? Don't you ever get bored? Richie: Firstly I love the community at CCF. I mean when you train hard you feel better in pretty much every aspect of your life and I just love training, but the main thing for me is the camaraderie that we have. It is pretty insane because it simply makes me happy. Coach: Lastly, any secret tips to share to other athletes that are aiming to make a transformation like yours? Richie: It’s all about commitment. You can’t go “80%”, you have to give it everything you got if you really want solid results. Functionality - Richie can now walk sideways trough very narrow passages. Final Thoughts: Richie truly is a CCF Role Model, not only trough his incredible results but also in his ways of always spreading a good vibe around him EVERY day in the gym. 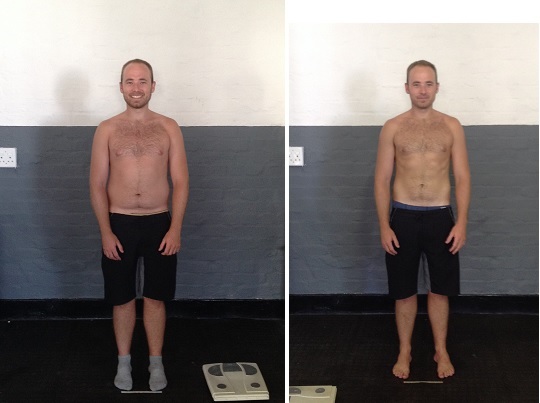 We are really happy that someone that have been training with us for so long can still get massive results by simply showing up to class, eating well and taking care of his recovery. We can't know for sure but if you ask us what Richie is doing another three years from now our guess would be either working on "the flying crow" or some other sick yoga moves on an active recovery day, or maybe you'll find him squatting in the corner. Only one thing is for sure: you won't find Richie on the couch watching TV..
Disclaimer: Results like Richie's are not guaranteed without a full effort. However, trough had work, sweat and some tears (mainly of laughter) we can guarantee you that you will achieve things you never thought were possible - and we promise to have fun with you while you do!